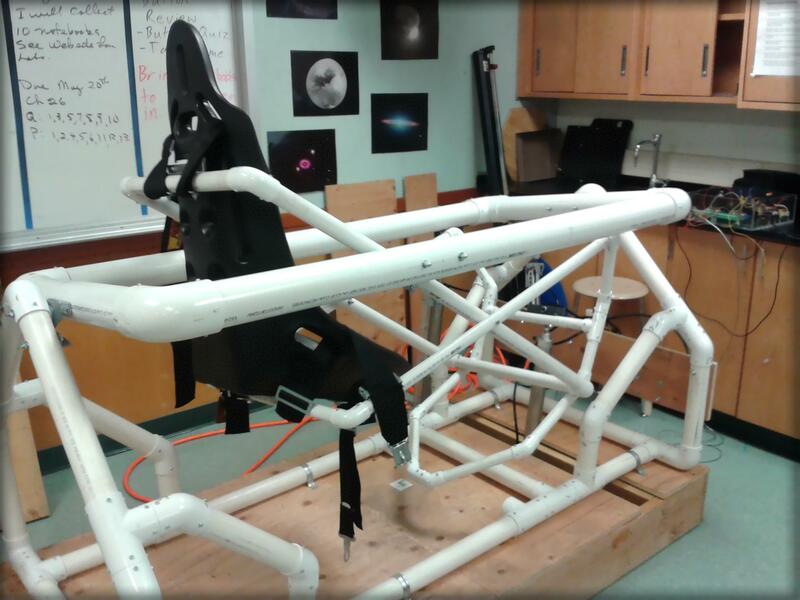 FlightSim is a revolutionary pneumatic-powered dual-axis motion simulator that was built with the cooperation of LifeBeam Club President Dominick Lee and Physics Professor Dr. Bert Pinsky. 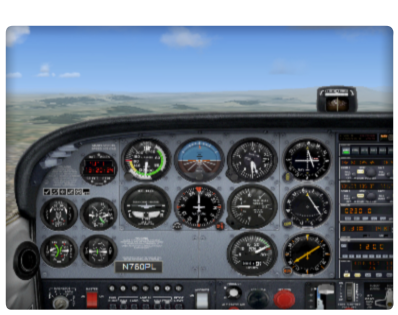 FlightSim puts you in the pilot's seat. Submerse yourself in realistic flight. We use commercial software and hardware engineered to enhance your ride. In other words, Boeing 747 ready for takeoff! Want to ride the Flight Simulator? Sign up and reserve your seat today! The LifeBeam Flight Simulator allows one to experience being a pilot in an airplane cockpit. With our advanced custom-built technology, we built a fully controllable motion platform from scratch. The simulator is mainly controlled by pressurized pneumatic cylinders which are guided through complex circuitry and programming. After 2 months of diligent work, Dominick Lee and Dr. Bert Pinsky were able to successfully run the Flight Simulator with precision and reliability. Please read about our detailed technical explanation here. Our Flight Simulator is one of a kind. 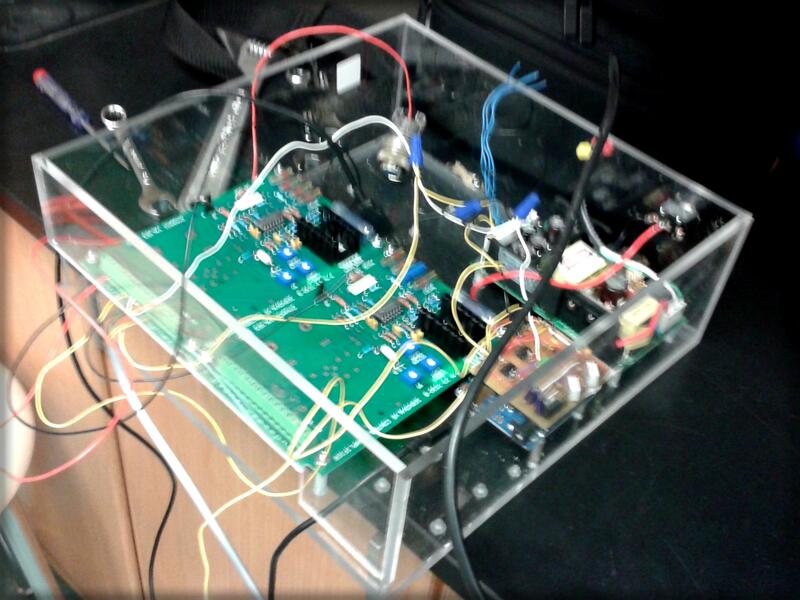 In fact, it is one of the few pneumatic-controlled Arduino motion simulators in the Bay Area! Although there are motion simulators in other parts of the country, most flight simulator are either restricted to pilot use only, or usually charge visitors an expensive fees for a few minutes of flight. 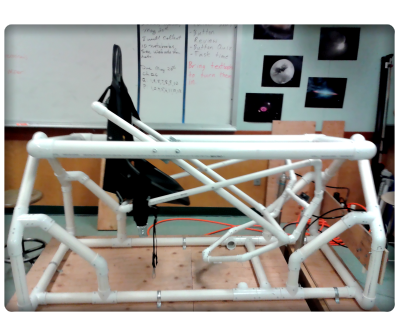 We built the FlightSim to inspire other students about the fun of physics, robotics, software and hardware. Best of all, students can ride for free on certain days every month. © Copyright 2013|Micro Robotics, Inc. | All Rights Reserved.